Ruben's Baseball: SIDEARMNATION Pitching Camp right here in Calgary! SIDEARMNATION Pitching Camp right here in Calgary! 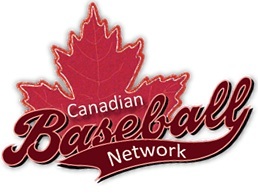 SIDEARMNATION will be holding a pitching camp in Calgary the weekend of October 24th and 25th. Several former professional pitchers will be on hand as instructors. The camp will be held on Saturday and Sunday from 9 - 3 at the Coyote Den Baseball Centre. The full cost is $275, or $150 for just one day. Details on the attachment below. This is open to pitchers of all ages. Don't miss out on this opportunity to learn from the pros! You did an amazing job on this! Thank you so much for sharing your talents!